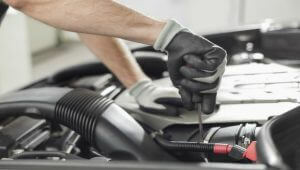 We carry out full log book servicing as you no longer need to take your car to the dealer for service as your manufactures warranty will not be affected. We service your vehicle as per the manufactures warranty and ensuring that the correct parts are used and all procedures are kept. All of our work is fully guaranteed and you won’t risk losing your new car warranty either. What is also very important, is that we never carry out any unauthorized repairs without first contacting you an explaining fully what needs to be done. So there are no surprises when you come to pick up your vehicle.